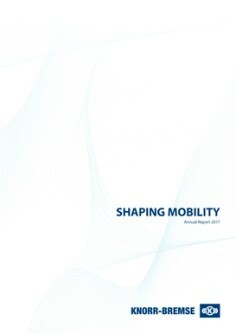 Microelettrica Scientifica - The Knorr-Bremse Financial Reports. Annual Report. We give you comprehensive insights. The Knorr-Bremse annual report is issued each year at the financial results press conference held at the end of March/beginning of April and offers detailed information on results and the most important developments in the Group during the past financial year. Prior-year editions are available here for downloading. Find out more about the world of Knorr-Bremse in emotional stories and images. Click on the title image of the current annual statement and scroll in the online edition! IFRS reports. We report in accordance with international standards. Please find here our current interim statement.